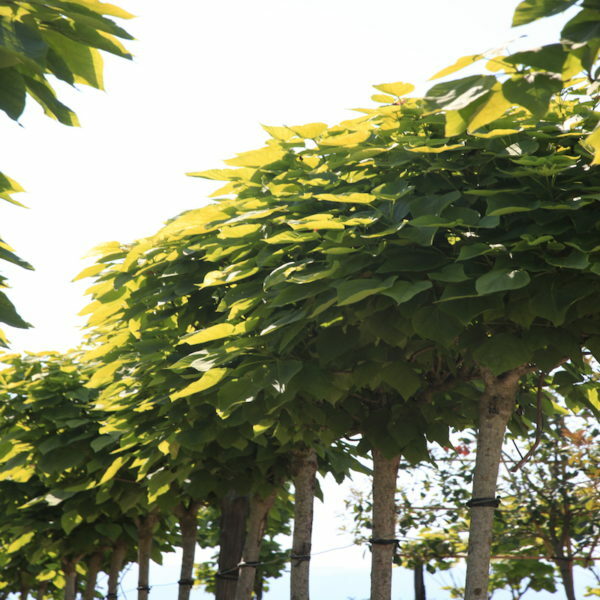 Catalpa bignonioides is a stunning medium sized deciduous tree with a glorious habit that forms naturally into a ball shaped head. 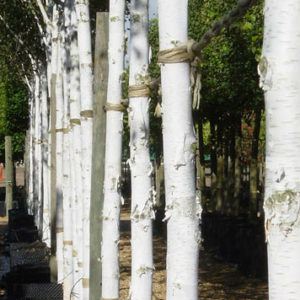 This tree is late into leaf, but patience is rewarded by enormously broad, pale green leaves which can be as big as 30cm. Panicles of white exotic bell shaped flowers splashed with orange and purple appear in late summer. The flowers are then followed by distinctive long, thin bean shaped fruits which hang on through autumn. 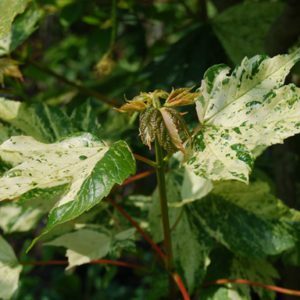 To add an extra splash of colour this Catalpa bignonioides Aurea has brilliant yellow green leaves this one has a 2m clear stem with a 30-25cm girth and a lovely large rounded head of 120-150cm diameter. Tags: aureum, Catalpa biganoides, lollipop tree, standard tree.